There’s no need to share generic calendars with others anymore. It’s time to make it your own! 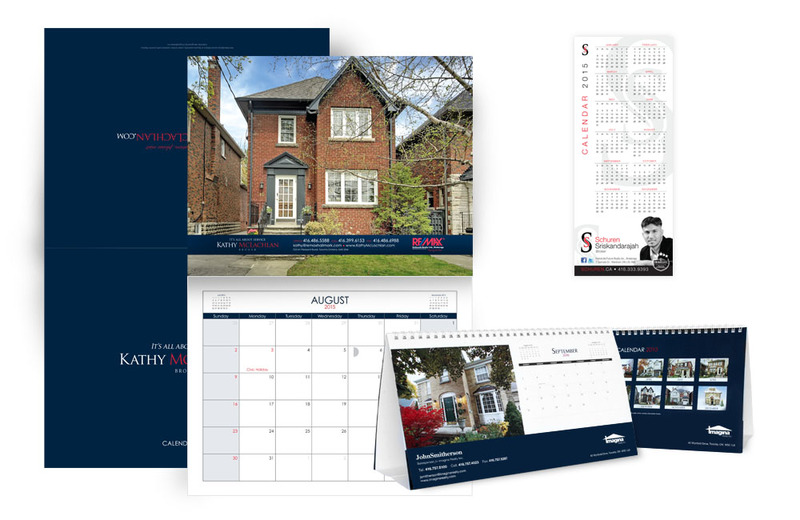 Our calendars are fully customized to show YOUR own properties and to speak about you and the services you offer. Your unique one of a kind calendar will make a great gift for clients while showcasing the beautiful homes you’ve sold. Choose from two fabulous calendar styles printed on 10pt gloss cover and wire-bound with a high quality finish.